With the launch of Creative Suite 6 (CS6), Adobe has realigned, tightened, and refocused its collection of software and targeted bundles into four disciplined groups. With Photoshop CS6 at the helm, CS6 reflects the updated, streamlined, real-world workflow of many creative operations. Adobe has long acknowledged that print and online creative projects were converging, and this version of Creative Suite demonstrates that. A $1299 Design Standard package, targeted to print-based graphic designers and artists, features the standard version of Photoshop, InDesign, Illustrator, and Acrobat X Pro. For designers who jump back and forth between print and online projects, Adobe offers the $1899 Design and Web Premium package, featuring Photoshop Extended, Illustrator, InDesign, Flash Professional, Fireworks, Dreamweaver, and Acrobat X Pro. This packages together two formerly separate bundles—the Design Premium and the Web Premium. Video professionals now have an expanded $1899 Production Premium suite featuring Premiere Pro, After Effects, Audition, Flash Professional, Illustrator, Photoshop Extended, and two brand new applications, Prelude and SpeedGrade. The reconstituted Production Premium was first revealed at the National Association of Broadcasters convention, which included a preview of Prelude for video ingest and logging, and SpeedGrade, for color correction and finishing. The $2599 Master Collection, as its name implies, includes all of the suite's boxed software—12 standalone programs and two companion apps—Bridge with Photoshop, and Encore with Premiere Pro. While Creative Suite 6 has debuted, it is not yet available for sale. Boxed and downloadable versions will be available within 30 days, and customers can preorder both the software and the Creative Cloud, of which it constitutes a vast part. Concurrently with the release of Creative Suite 6 is Adobe's brand new Creative Cloud, which, together with CS6, forms the backbone of Adobe's new online subscription strategy. Macworld has more details specifically about Adobe's plans for CS6 and Creative Cloud with this launch. While the world doesn't begin and end with Photoshop, sometimes it seems as if it does, especially when upgrade time rolls around. Photoshop is Adobe's flagship program and its oldest and most popular package. A huge amount of attention is generally paid to upgrading Photoshop within Adobe's traditional 12-to-18-month upgrade cycle. This time was no different. Since Photoshop CS6 was released as a public beta, Adobe reports there have been nearly one million downloads of the software worldwide—more than any public beta in Adobe’s history. Macworld's was among them, and our Photoshop CS6 First Look explores the program's many major new features in detail. Here are some of this highlights. Dark Theme Photoshop CS6 has undergone an interface redesign that touts a streamlined presentation on a fresh dark theme. The program also extends its slate of content-aware tools to include two new tools: Content Aware Patch and Content Aware Move, alongside a gallery of new blur effects, a non-destructive crop tool, and a new Adaptive Wide Angle lens correction tool. Content Aware features Content-Aware Patch options let users select and duplicate one area of an image to fill in or “patch” a different area of the same image. It shares a high concept with the Clone tool, but it is a bit more subtle. Content-Aware Move lets users select and move an object to a new place in the image, as the program fills in the background behind the relocated object. Layer enhancements Photoshop's layers technology has also been overhauled in this version. With Photoshop CS6, vector layers now, for the first time, allow users to apply dashed lines and gradient strokes. Searchable layers help users quickly find the specific layers they seek. Photoshop CS6 dark theme with a crop interface. Text Formatting A new type-rendering engine displays text more cleanly and clearly, and with more balanced anti-aliasing—especially at smaller point sizes. Paragraph Styles control the characteristics of groups of sentences or whole pages of type, and Character Styles can specify the look of individual letters, words, or phrases. You can employ styles across multiple documents in a project and make project-wide changes by altering specific style entries and have the changes flow through all documents. Blur Gallery A simple interface with on-image controls facilitates photographic blur effects including tilt-shift, shallow depth of field, or blur between multiple focal points. Camera Raw 7 It first appeared in Photoshop Lightroom 4, and now it's included as a plug-in to Photoshop CS6, offering new, easier-to-use controls. 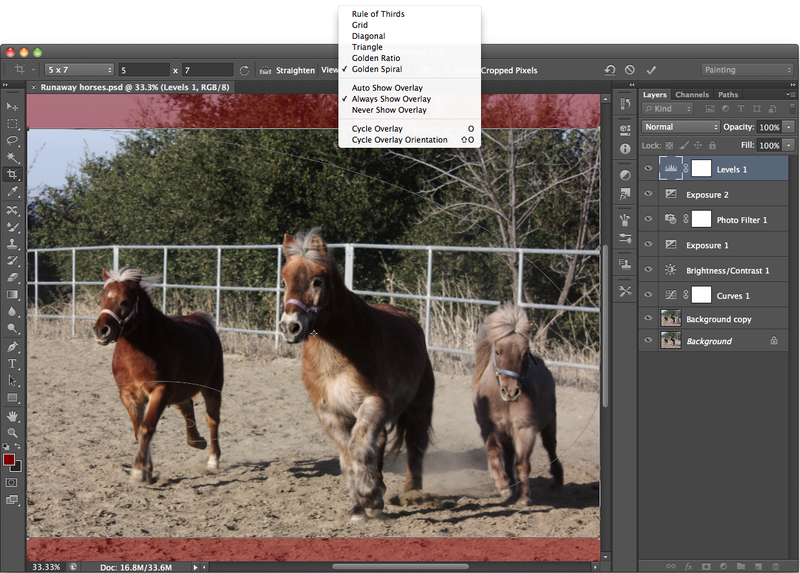 Photoshop CS6 offers improved, more intelligent auto corrections built on a database of similar image corrections. New painting features include erodible brush tips, a brand new GPU-accelerated Oil Paint filter, and skin tone aware selection and masking. Intuitive video creation and editing tools are also available in this upgrade. The Extended version takes advantage of the Mercury Graphics Engine for GPU-powered 3D operations, including reflections and dragable shadows. Interface improvements offer easier, more responsive 3D controls. For the Mac, Photoshop requires a multicore Intel processor with 64-bit support, Mac OS X 10.6.8 or 10.7, and 1GB of RAM. For Windows, it requires an Intel Pentium 4 or AMD Athlon 64 processor, Microsoft Windows XP with Service Pack 3 or Windows 7 with Service Pack 1, and 1GB of RAM. Adobe InDesign CS6, targeted to both print and online graphic designers, debuts new tools to help designers repurpose and adapt layouts for print, Web, and mobile devices. New features include Alternate Layout, Liquid Layout, Linked Content, and a set of Content Collector tools that let you re-use designs across different projects. Alternate Layout InDesign's Alternate Layout feature makes it easier to adapt a primary InDesign layout for various orientations, page sizes, or devices while retaining control over the main design. 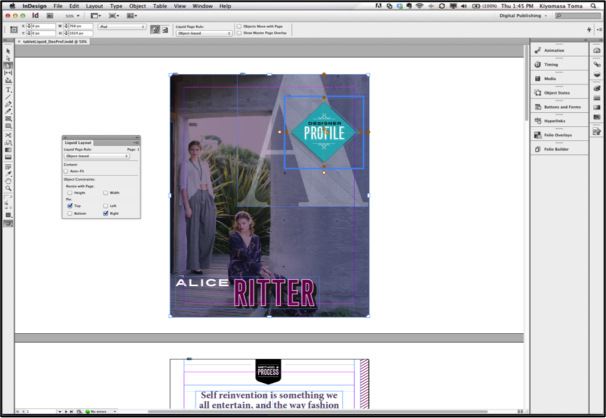 InDesign can add pages and copy content while each layout appears separately in the Pages panel. You can even copy and customize text styles for each layout. Liquid Layout The Liquid Layout feature adjusts content in relationship to the page when you create an alternate layout. When you repurpose a layout for pages with different dimensions, you can apply liquid page rules to individual pages in your layout. 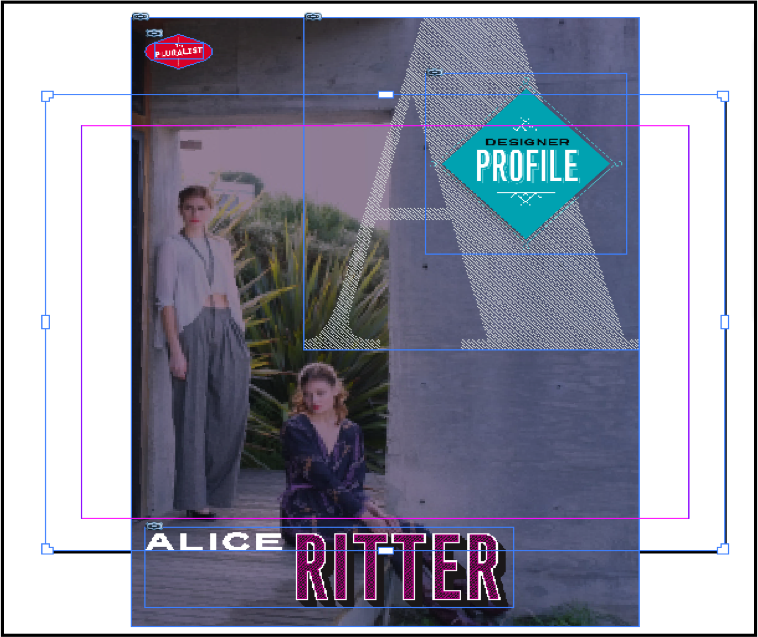 Then, when you create an alternate layout, InDesign applies those rules to arrange content according to the new page size. Liquid Page rules make it easier to design for multiple page sizes and orientations. Linked Content This feature ensures that repeated content—text, images, or interactivity—remains consistent in the same document or across multiple documents. You can link anything in a frame, including transition times and other interactive settings. Content Collector tools Quickly reuse text and objects in the same document or other InDesign documents with Content Collector tools—Content Collector, Content Conveyor, and Content Placer. The Content Collector tool lets you select the frame you want, place it in the Content Conveyor, and find the location in any document where you want to reuse the item. The Content Placer tool places the item on the page. Once you’ve placed an item, it disappears from the Content Conveyor. However, you can choose to leave an item in the Content Conveyor so that it will be available in any InDesign document. Content Collector tools let you reuse content in different documents. PDF forms InDesign CS6 not only lets you design forms, you can also tweak form fields before exporting to PDF. Create text, radio buttons, check marks, combo boxes, signature fields, and more. You can include tooltips and determine the tab order for form fields. Middle Eastern language support You can now get a Middle Eastern version of InDesign directly from Adobe. InDesign CS6 provides full support for Arabic, Hebrew, and other Middle Eastern languages, including eight Indian languages, making content localization smoother for global content creators. Other productivity enhancements include the ability to align selected items in the layout to a specific object, calculate values directly within panels and dialog boxes, zoom in directly to a linked object when you view it in context from the Links panel, preview your layout in grayscale to proof it for a black-and-white device or printing, and more. A new Flexible Width feature, lets you automatically reflow text into additional columns when you resize a page. InDesign's Alternate Layout feature lets you experiment with different page orientations and sizes. On the Mac, InDesign requires a multicore Intel processor, Mac OS X 10.6.8 or 10.7, and 1GB of RAM (2GB recommended). For Windows, it requires an Intel Pentium 4 or AMD Athlon 64 processor, Microsoft Windows XP with Service Pack 3 or Windows 7, and 1GB of RAM (2GB recommended). 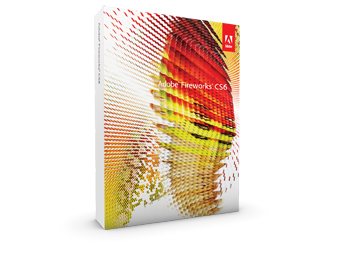 Fireworks CS6, targeted to Web artists and developers, provides an environment for creating and optimizing vector and bitmap images, themes, content, comps, wireframes, and mockups for Web and mobile designs. This new version is designed to make the program a better companion for Dreamweaver and other HTML editors. New features include jQuery mobile theme support, CSS sprites, CSS code extraction via the new Properties panel, improved swatch and optimization tools, and performance enhancements. CSS Sprites Fireworks CS6 lets you build CSS sprites directly from your design comp in one step. CSS sprites decrease the loading time of images on your website by combining several images into single file, thus decreasing the number of server requests. The new CSS Sprite feature combines slices in your Fireworks source file, and then converts them into a single sprite image. CSS Code Extraction and new CSS Properties panel This feature lets you extract CSS3 code from your designs and design elements. After extraction, you can copy and paste the code into a Dreamweaver file or another Web editor. On the Mac, Fireworks requires a multicore Intel processor with 64-bit support, Mac OS X 10.6.8 or 10.7, and 2GB of RAM (8GB recommended). On Windows, it needs an Intel Pentium 4 or AMD Athlon 64 processor, Microsoft Windows XP with Service Pack 3 or Windows 7 with Service Pack 1, and 1GB of RAM (3GB recommended) for 32 bit or 2GB of RAM (8GB recommended) for 64 bit. Adobe Dreamweaver CS6, targeted to Web designers and developers, builds HTML 5 and CSS3 sites, and lets you preview your design for smart phones, tablets, and computer screens simultaneously with the program's enhanced Multiscreen Preview panel and accurate Live View. Dreamweaver CS6 is now Cocoa-native and optimized for better Mac OS performance. Optimization also improves image editing features such as cropping, resizing, and resampling image files, allowing quick and efficient graphics tweaking in Design view and the Property inspector. This new version lets you build native mobile applications for both Apple’s iOS and Google’s Android platform with jQuery Mobile and improved PhoneGap integration. It also features multiple viewing options, accurate HTML 5 rendering, improved FTP performance, and streamlined image editing tools. Fluid Grid Layouts Dreamweaver CS6 introduces fluid grid layout starter templates to create flexible page layouts with a multicolumn design grid. 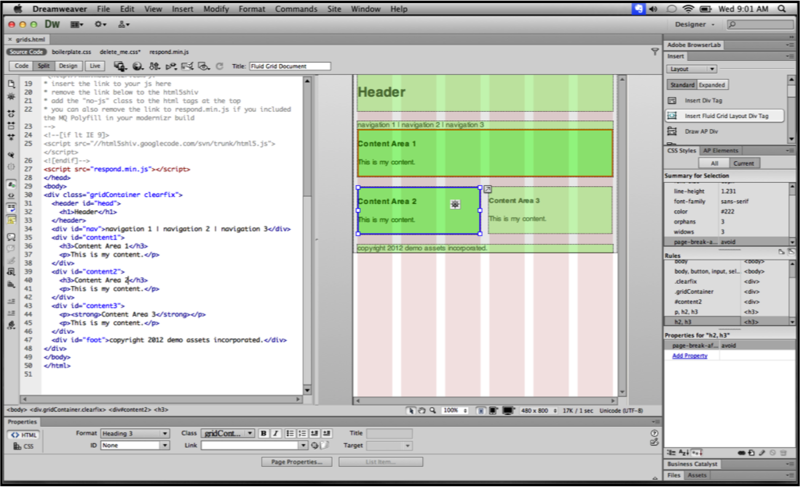 You can construct fluid grid layouts in Design view, and then use Dreamweaver’s CSS3 authoring tools to incorporate the design. You can create three different adaptive layouts for the most common mobile, tablet, and desktop resolutions. After specifying the layout grid for each resolution, you can create fluid grid layout div elements (div tags) to build your overall page structure. Drag and resize the page regions to reposition them in relation to your layout grid. Dreamweaver's Fluid Grid layouts let you design Web pages for different screen sizes and devices. Real-time Multiscreen Preview This new version features enhancements to the Multiscreen Preview panel, which lets you view three different screen sizes as well as run HTML 5 and CSS3 code in real time. You now can simultaneously preview your designs for smartphones, tablets, and computer screens, preview custom screen sizes, and test the behavior of your code for each device.